The Minnesota Mining and Manufacturing Company, better known as 3M, was founded in 1902 and manufactures a wide array of consumer products. Henry S. Bryan, Herman W. Cable, John Dwan, William A, McGonagle and Dr. J. Danley Budd founded the company as a seller of sandpaper made from imported Spanish garnet. Headquartered in St. Paul, Minnesota, 3M employs approximately 84,000 employees in more than 60 countries. In addition, 3M products can be purchased in more than 200 countries worldwide. In 1916, 3M purchased its first laboratory and quickly began inventing new products in its newly-formed Research and Development department. Among the company’s early inventions were waterproof sandpaper, masking tape, cellophane “Scotch” tape and sound-deadening materials for automobiles. Scotch tape is 3M’s iconic product. 3M experienced tremendous growth after World War II, opening many plants across the country. Around 1950, the company went global, opening facilities in Canada, Mexico, France, Germany, Australia, and the United Kingdom. By 1951, international sales had already reached $20 million. In the 1960s, 3M produced several models of magnetic tape recorders for instrumentation use and for studio sound recording and the company was involved with digital recording equipment by the end of the 1970s. One of its best known products, Post-It Notes, appeared in 1980. Growth continued and the company’s product line is still expanding, placing 3M among the best companies on the Fortune 500 list. Global sales total about $30 billion annually with international sales accounting for more than 60 percent of all sales. Exposed to Asbestos at Minnesota Mining & Manufacturing Company? 3M was plagued with asbestos-related lawsuits for a fraction of the company’s history, with many lawsuits being filed in recent decades. Around the early 2000s, the company was found to have marketed and sold a defective product: Model 8710, a disposable respirator. Plaintiffs alleged that the masks did not provide the protection that the company claimed in their marketing material, including filtering tiny asbestos particles. Many who wore the masks and worked with asbestos have developed asbestos-related diseases. More than 300,000 lawsuits were filed against the company, equating to a price tag over $300 million. One lawsuit stems from West Virginia and claims 3M sold the state defective masks that cost hundreds of millions in expenses related to workers’ compensation. The industrial and consumer products that contained asbestos endangered 3M employees in addition to end users of the products. Reports have further shown that the company manufactured duct tape, adhesives and caulk using asbestos, putting the employees who made these products at increased risk of developing asbestos-related diseases like lung cancer and mesothelioma. Factory workers, engineers and mechanics were just some of the occupations at 3M with high risks of asbestos exposure because they dealt with contaminated products regularly. Those professionals who handled these dangerous products are encouraged to receive regular screenings from your doctor to detect possible diseases. Regarding end users of asbestos products, a 2018 study in the International Journal of Epidemiology looked at asbestos-related cancer risks for British workers in different industries. Former plumbers, electricians and painters made up one of the highest risk categories, with a risk of mesothelioma almost 16 times higher than in the general population. 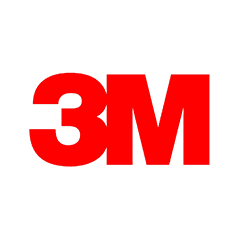 3M manufactured multiple products that likely contained asbestos, including its 3M Caulk, manufactured 1935-1986, 3M Sticky Tar Caulking, manufactured 1935-1940, 3M Adhesive, manufactured 1935-1986 and the 3M Wet Adhesives, manufactured 1935-1986. According to the company’s website, 3M’s Pollution Prevention Programs helped prevent the generation of nearly 3 billion pounds of pollutants since 1973.